Traveling to see art is more than a pleasant variation in the academic year. It is an inevitable part of study. After all, even high-quality reproductions and the latest technology cannot mediate direct contact with incredible objects of medieval art. This experience is almost the same for us as it had been for their intended audiences, and thus it can take us centuries back. 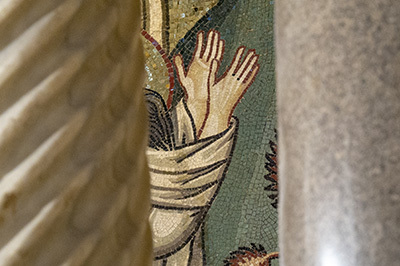 The personal contact with these objects in their original environment can help us understand better how they had been perceived in the personal, social and religious context. 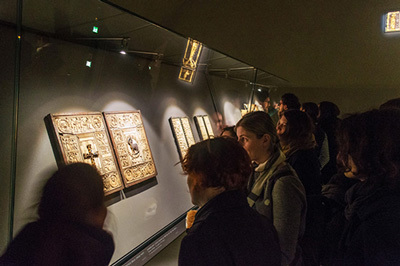 With these face-to-face encounters, we aim to recognize medieval art as a material reality belonging to both the present and the past. We also aim to understand its meaning, as well as the veneration it received, which is still ongoing at some of the places. 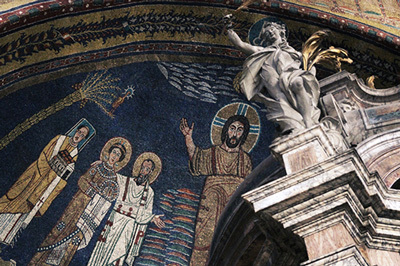 Sicily, a place of indescribable atmosphere where the cultures of Islam, Judaism, and Christianity have been meeting over the centuries, gave rise to an abundance of extraordinary works of art. It was precisely for this reason that we, group from the Brno Department of Art History, decided to visit this island again after four years. The program of this year's trip did not change much in comparison to the last visit, yet, it has been a completely new experience for most of us. Anyone who has participated in previous trips will probably understand the feelings we experienced before our departure, the same for whoever is preparing for an experience of this magnitude for the first time. 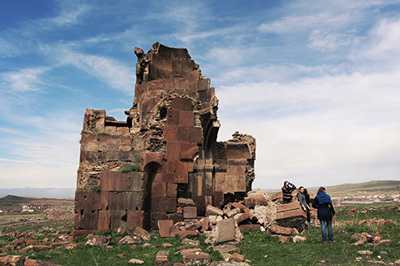 Obviously, the breadth of the artistic production of medieval Armenia could not be covered by a single visit. 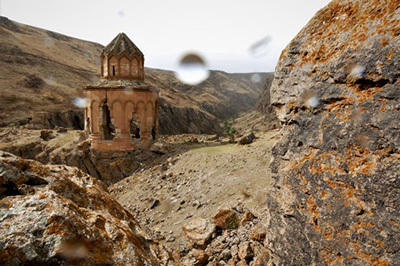 And so, after a year of waiting, we set up a new target for our next field trip in the region - the part of the medieval Armenian kingdom which has become known as East and Southeast Anatolia in the contemporary geographical lore; in other words, regions lying within the current Turkish territory. Our trip to Milan started in Vienna on 10th January 2017. We spent the time on the train having pleasant and informative chats, taking a nap and playing games (e.g. some of us took a chance to enjoy a snowball fight due to the heavy snow fall at the station in Salzburg). 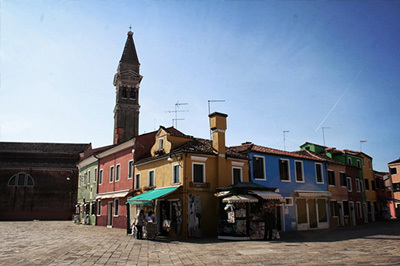 After coming to the metropolis of Lombardy we took lodgings, and then we set off to explore the neighbourhood. 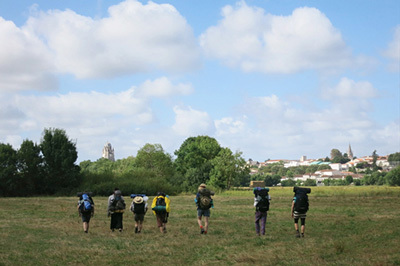 This year the traditional walking expedition exploring medieval monuments started in the French city of Poitiers where it symbolically followed up on the end of the last expedition. In contrast to the four previous expeditions this one took a completely new direction, though. It followed the ancient pilgrim route called Via Turonensis crossing the city of Tours after which it was named. 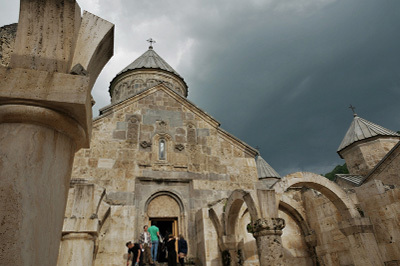 The main focus for the year 2015 was travelling about Georgia which implied the next direction of our field of interest whose principal subject includes studies of Caucasian art. Another step on this way was the visit to Armenia where we travelled through a considerable part of this country within a week. The main goal of the whole excursion were architectural monuments dating back to the times between 7th and 13th centuries. 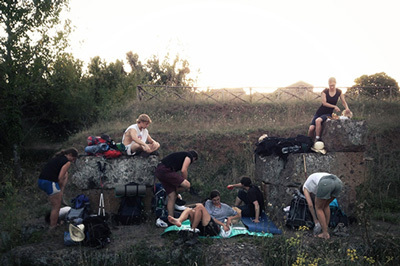 On one Saturday evening in January a group of Art History students left the cold Bratislava airport for a little bit warmer embrace of Rome. For some of us it was the first excursion and moments of excitement switched to enthusiastic study of essays. After stumbling through the night city into the cosy rooms of Nepomucenum, we looked forward to the next day and exciting experiences. Hardly any of the twenty participants imagined the October excursion to Georgia as being a peaceful and restful experience. An enormously adventurous nature of this trip must have surprised even the most hard-bitten of us. As if the night flight from Budapest to Kutaisi itself, which was accompanied by strong turbulences, had been an omen for the really “turbulent“ and exhausting experiences of the following week. In August 2015 we we took part in the fourth expedition of our center already. 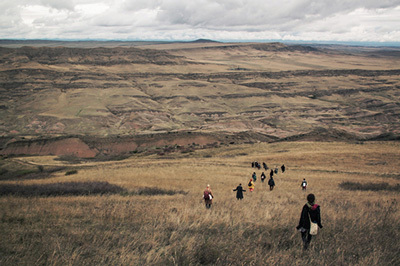 This form of a summer excursion allowing to experience an important view of a medieval pilgrim is gradually becoming an inseparable part and also a way of finishing the school year. 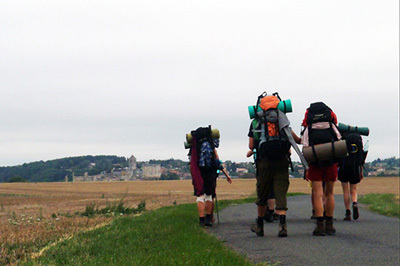 The route of this year’s expedition focused on France again, it was shifted a little bit northwards and connected the Burgundy town of Autun with Poitiers. Who wouldn't want to see Ravenna? Everyone! And most of all, probably, Teodora, who actually wrote an email to Zuzana informing her that she is about the sign up for the Ravenna field trip. A field trip which had not come into being; but after all, why not go? 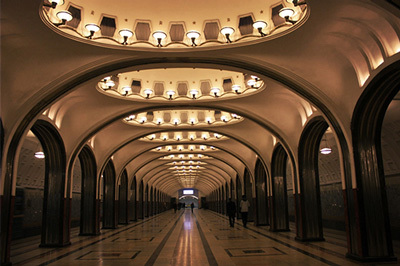 And so it happened that a group of 12 people met at the Vienna train station on June 10th, and they set out on a quest for beauty and knowledge. On Sunday, January 18th, a party of 24 members met at the airport in Vienna, so that they could together start the year of 2015 with a field trip to Constantinople. The aircraft landed at the Sabiha Gökçen airport located in the Asian part of the metropolis of Istanbul during the afternoon hours, after which the party travelled directly to their hotel without any hindrance. The purpose of the following text is to depict our art historian pilgrimage towards the art of Russia. 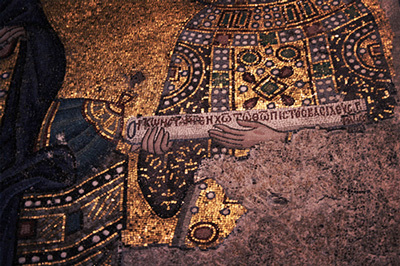 And although it could seem that our goal would only be to see the results of its relationship with the Byzantine, it would be a wrong presumption. The everlasting dialogue between the old and the new, which we could see at, let's say, almost every corner, strongly affected our aestethic perceptions. 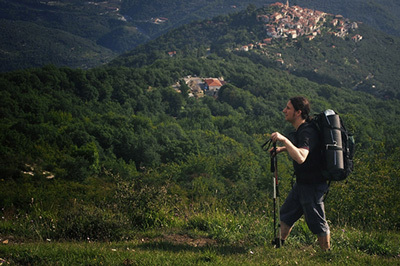 The second half of August 2014 had been devoted to a pilgrimage across northern Italy and southern France. Our journey lead literally from one valley to another, along the horizons of Liguria and over the dust plains of Provence. At the end of the autumn semester of 2014 (February 17th - March 17th), I set out for a study trip across northern Ethiopia, together with my colleagues Ondřej Hnilica and Matěj Mikloš. 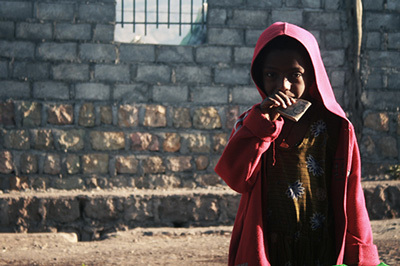 The first of the major stops along the journey was the country's capital, Addis Abeba (which translates as A New Flower). Here, our goal was to visit the university library, Goethe institut a Le Centre français des études éthiopiennes (CFEE). In the spring semester of 2014, our journey led to Sicily. The first unusual fact about this field trip turned out to be the diverse composition of its participants. From Brno (Masaryk University), there were a few so far unknown faces of first and second-year students; in addition, there came three students from Lausanne. 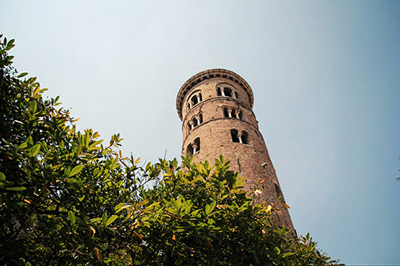 In the course of the six days of the trip, we had the opportunity to see a number of monuments in Palermo and its surroundings. 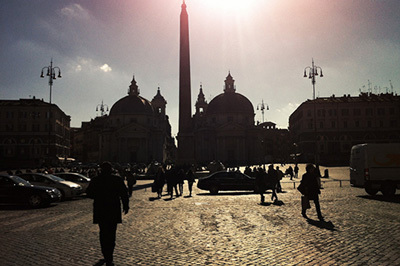 At the beginning of February, we set off on a quest for art and adventure to Rome. For all of us, it was the very first field trip under the lead of Ivan Foletti, who decided to only take BA students this time. Apart from Zuzana Frantová, who also joined in, there were 13 courageous women from the first and second year, as well as one blonde girl from the third year of study. 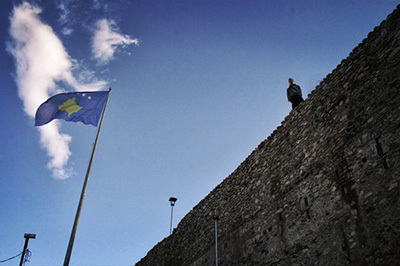 In the autumn semester of 2013, we set off for the Balkans again. This time, there were 18 of us, in two cars Ford Transit. The first major stop was the Macedonian city of Ohrid, in which we visited several churches, and started to put together a picture of the local art from the 5th to the 15th century. As a historic - in fact a medieval - city, Znojmo offers a number of topics for art historians/medievalists, on which they could verify the capacity of established opinions, theories, and methodologies. 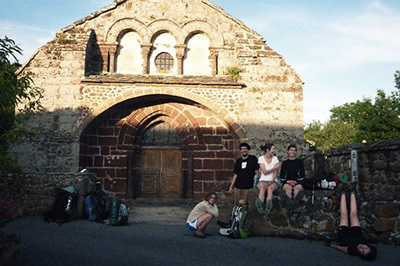 Similar to the previous year, the 2013 field trip to Italy comprised of two groups of participants: the group from Université de Lausanne, which apart from Sandrine and Laïne was also appended by Adrien this year; and the group from Brno from Masaryk University, which was appended by Maťo and Zuzka. There is perhaps no need to introduce the rest of the participants, still they were the two so-called "giraffes" Betty and Schallo, the Foletti family - the leader of the trip, Ivan Foletti, with his wife Karolina - and myself, Ivana. In line with the motto of Mr. Foletti - at least one field trip a semester - we set off for Venice and Padova during the spring term. Early morning on Friday, Francesco Lovino, a fellow art historian from the Padova university, picked us up at the Venezian train station of Santa Lucia. He then guided us during the whole of our stay in Venice. In the autumn of 2012, we set out for the south again; this time, though, we headed a little more to the east - across Serbia, Kosovo, and Macedonia. These countries used to be a part of the Byzantine empire, and even after its collapse, they went through an interesting artistic development. Running this semester, there was a specialized seminar devoted to Byzantine art on the Balkans anyway, so we decided we complete the study directly in the field, by means of a 5-day-long car trip. 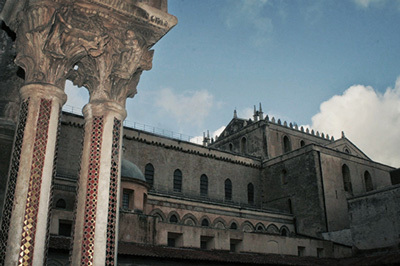 The academic year of 2011/2012 was rounded up by one of the greatest phenomenons of medieval Europe: the pilgrimage to Santiago de Compostela. 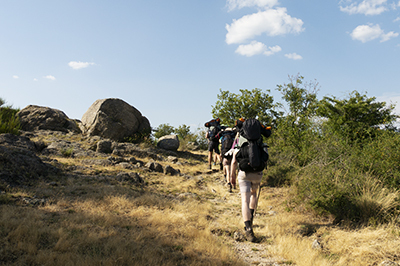 Our goal, however, was not its final destination at the tomb of St. Jacob in the northwest of Spain, but just a part of the pilgrimage route running through southern France, on which there are situated several major pilgrimage churches, mainly from the 12th century. 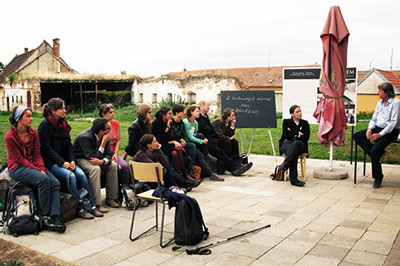 At the end of May 2012, the team of Středověc Jinax joined the field trip to Italy, lead by Jiří Kroupa and Ondřej Jakubec. 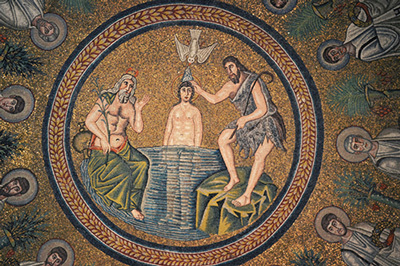 We spent one intense and unforgetable day in the northern Italian city of Ravenna. Out of the desire to get to know the most notable monuments of the 5th and 6th centuries, some of us didn't even hesitate to use such adventurous means of transport as hitch-hiking. 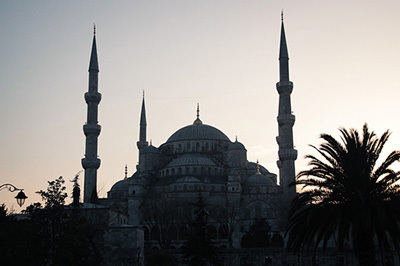 In was in March of 2012 that we set out for our study trip to Istanbul. Still on the plane, we started to count the number of mosques together with their minarets, as many of these in fact were originally built as Byzantine churches. And such churches specifically were the hotspots of our journey. For everybody, the necessity, but also pleasure meant almost a whole day spent inside the largest of the Byzantine temples, in Hagia Sofia. After a moment of silent awe in view of its magnificence, we started with our papers, which we are required to prepare in advance to be able to take part in any of our field trips. At the end of November 2011, we set out from the cloudy city of Brno towards the sunny south again. 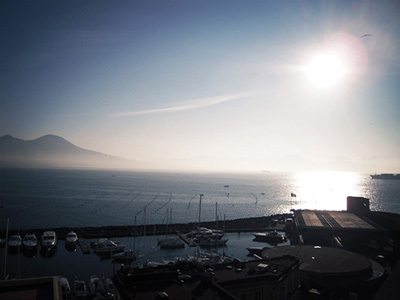 Naples, the regional capital of south Italy, became the goal of our second-ever field trip. 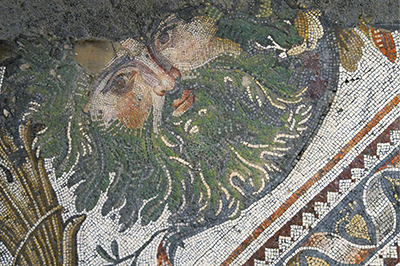 In the city under Mount Vesuvius, we spent several days meeting with monuments dating from Antiquity up to Baroque. Still, it was due to its lively atmosphere, ever changing its rythm from the main street to the remote alleys of the Spanish quarters, that Naples really enchanted us all. 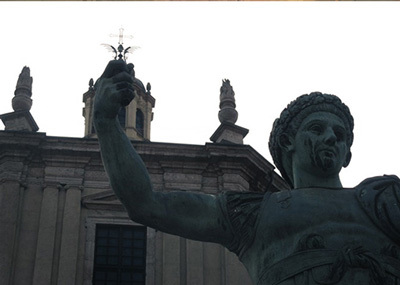 As a part of the course named In the Brand of Ambrose: Milan and Lombardy in the Early Middle Ages, we set out for our very first field trip at the beginning of May, 2011. It was during the era of bishop Ambrose (4th century) that the city of Milan, located at the crossroads of the major routes running east-west and north-south from the Balkans to Galia, as well from Africa and Rome to the Alpine regions, became the main seat of power of the Empire, within the western half of orbis romanus.